When the Breeders' Cup is over, Thanksgiving has passed, and December has begun, racing fans know what time it is--it's time to start thinking about the Kentucky Derby! Given the way that California-based three-year-olds have dominated the Triple Crown in recent years (think I'll Have Another, Bodemeister, Paynter, California Chrome, American Pharoah, Firing Line, Dortmund, Nyquist, and Exaggerator), it could be wise to pay close attention to what transpires in California this winter. With a promising pedigree (by Arch out of the stakes-placed Storm Cat mare Chili Cat), Beach Bum should be able to handle two turns, although his pedigree also hints that turf could be in his future (click here to view his pedigree). In any case, he's likely bound for stakes company after his promising debut, which will give us a chance to see if he can take the next step forward to join the ranks of the elite Derby contenders. Best of all, Conscripted's burst of acceleration wasn't an illusion--according to Trakus, he ran the final quarter in :23.03 seconds and the final furlong in a stellar :11.37. With a turf-oriented pedigree (he's by Biondetti out of Prized mare Ponderway; click here to view his pedigree), he's likely found a home on grass and might not give dirt a try. But overall, I think Conscripted has the talent to be a very nice horse, and I'm looking forward to seeing where he runs next. One of my favorite stallions in the country is Curlin, because his progeny tend to be versatile, sound, and gifted with stamina. They also get better with age, which is why I take note when a son of Curlin turns in an impressive win sprinting as a two-year-old. Already, Curlin has sired four horses that have won or placed in classics (Palace Malice, Ride On Curlin, Keen Ice, and Exaggerator), and I think it's possible that Irish War Cry could become the fifth. Needless to say, this was a very exciting debut from a colt that is bred top and bottom to excel in longer races (click here to view his pedigree). Not surprisingly, he received a lot of support in the first Kentucky Derby Future Wager pool, closing as the ninth choice at just under 27-1. Trained by Graham Motion, who won the 2011 Kentucky Derby with Animal Kingdom, Irish War Cry looks bound for a Derby prep race in the near future, and I think we'll hear a lot from him in 2017. Question: What do Macho Again, Golden Soul, Commanding Curve, and Tale of Verve have in common? Answer: They were all trained by Dallas Stewart, they all hit the board in a Triple Crown race, and they all ran in maiden races during the Churchill Downs fall meet. Saint's Fan's sire, Tale of Ekati, has already enjoyed some Triple Crown success as the sire of the above-mentioned 2015 Preakness Stakes (gr. I) runner-up Tale of Verve, Saint's Fan's broodmare sire--Sky Mesa--has produced several horses that excelled in route races, including General Quarters and Dynamic Sky (click here to view Saint's Fan's pedigree.) And how amazing it would be for Dallas Stewart to win the Derby with a horse that he bred, owns, and trains? Saint's Fan has already breezed twice since his maiden win and should be ready to run again soon; I wouldn't be surprised to see him turn up at Fair Grounds this winter, with the LeComte Stakes (gr. III) as a possibility for his stakes debut. Now it's your turn! 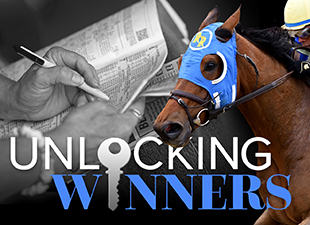 Which up-and-coming two-year-olds have caught your eye?